Quite a few hunter changes for the better lately made me want to play morphea again ! All my pets are now the same level as I am and when I would tame a new one, he would be the same level as well ! No more annoying pet leveling. Also feeding now just heals the pet, which is nice. The happiness thing was marginalised anyway, so why not get rid of it all together. My pet cat got a new skin once again. 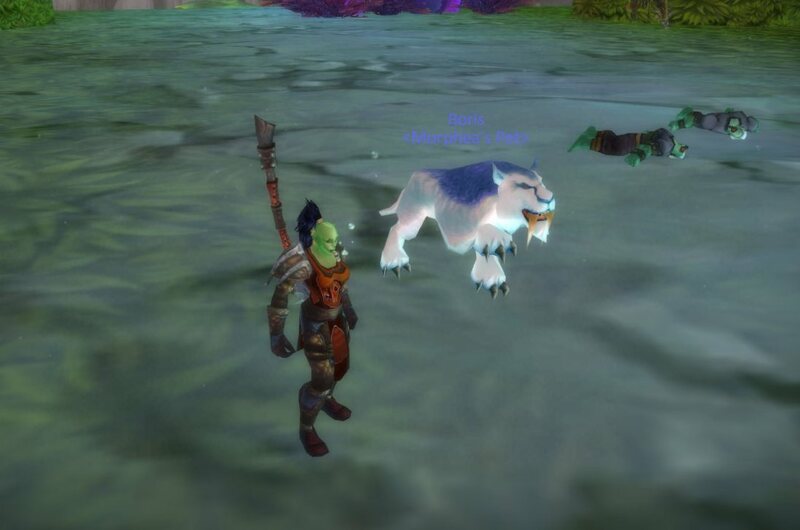 Boris started off as a white sabre tooth from Winterspring, back in Vanilla. Then he gained some black stripes, I think in TBC or in Wrath. Now he’s got a bluesish skin and mane, and more fearsome teeth !